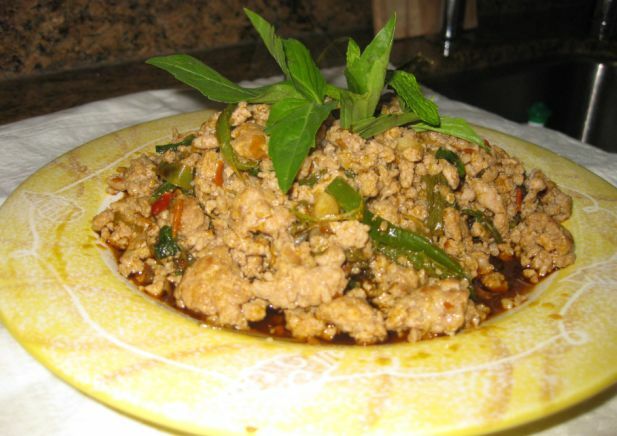 Krapow means stir fried with Basil in Thai. This dish is a very popular dish and you will find it all over the streets in Bangkok and also in restaurants. 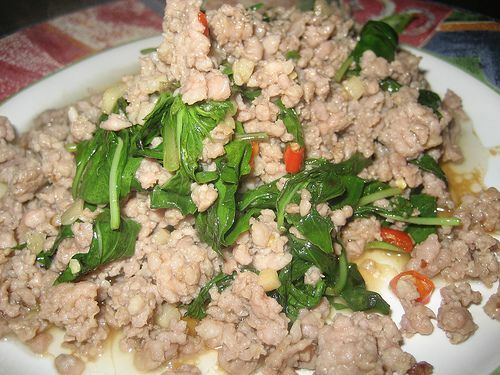 Krapow can be made with minced chicken, beef, or pork. I made mine with minced pork. 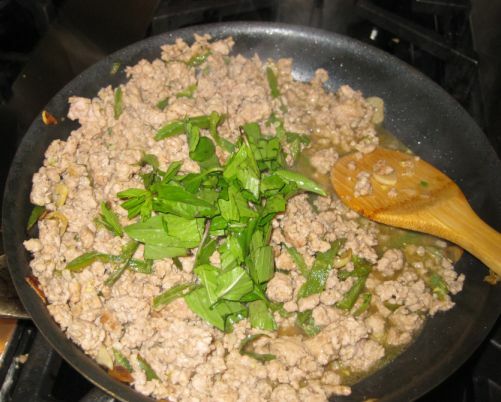 This dish is very simple to cook but the result is delicious and very flavorful because of the basil. 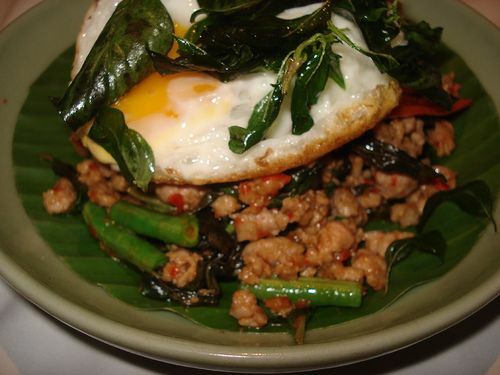 A plate of delicious Krapow Moo, perfect to eat with rice. 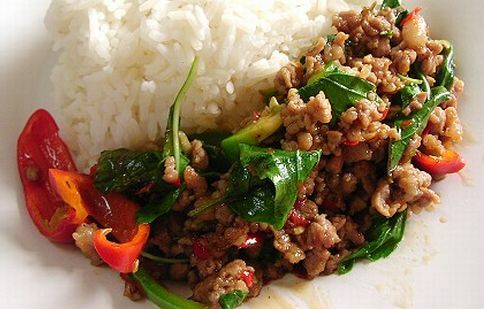 Krapow is served with white rice and it is a very popular dish at lunch time. This dish is usually served with white rice and a fried egg. 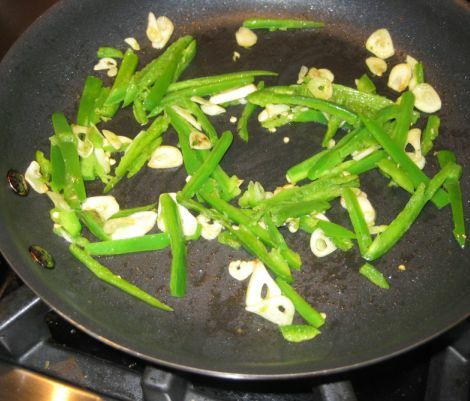 Garlic and jalapenos are sliced and stir fried until fragrant. 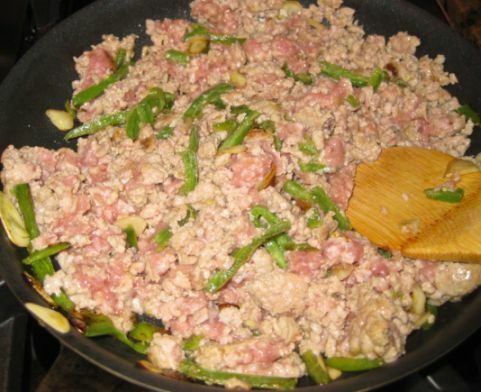 Next minced pork in added and stir fried until the meat is cooked. Sugar, soy sauce and lots of basil are added at the end. I added a few red peppers to spice up the dish and once the basil are wilted the dish is ready to be served.